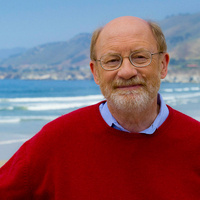 The Seymour Marine Discovery Center presents the 2019 Global Oceans Gala honoring the lifetime achievement of John Laird. Congressman Jimmy Panetta will introduce the honoree at this evening gala. Laird has spent nearly 40 years in service to California, most recently as the Secretary of Natural Resources. In this role he served as chief steward of California’s parks, waterways, wildlife, fisheries, and coastal environment. Laird graduated with honors from UC Santa Cruz in 1972. In 1981, he was elected to the Santa Cruz City Council serving nine years, including two terms as mayor. He then served eight years on the Cabrillo College Board of Trustees. He went on to serve three terms as a state Assemblymember before becoming California Secretary for Natural Resources (2011–2019). As Secretary, his top priorities included climate change, water conservation, access to state parks, and ocean sustainability. This semi-formal dinner includes exquisite dishes from sustainable sources, paired with fine wines from award-winning California vintners. Proceeds directly support the Seymour Marine Discovery Center’s education programs. Reservations are $185 per person; $1,480 for a table of eight. RSVP by March 7, 2019 to (831) 459-3800, ldonnell@ucsc.edu, or via the online reservation form. About the Seymour Center: Overlooking the Monterey Bay, the Seymour Center is a "living classroom" featuring exhibits, aquariums, touch pools, whale skeletons, full-scale elephant seal models, the Ocean Discovery Shop, and unsurpassed ocean vistas. The aquariums and exhibits feature the everyday tools of ocean exploration and focus on research conducted by scientists locally and around the world. Interactive stations provide hands-on learning experiences, while docents lead tours and bring marine science to life. The Seymour Center is a community-supported marine science education center of the University of California, Santa Cruz. This award is bestowed annually to an outstanding individual who has made significant contributions to, and extraordinary impact on, the understanding and conservation of our oceans. To become a sponsor, contact Lauren Donnelly-Crocker at ldonnell@ucsc.edu or (831) 459-4568.